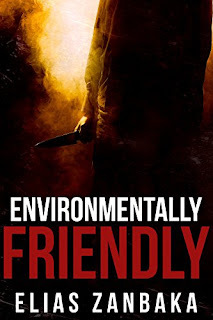 Environmentally Friendly is an excellently written short story about Sgt. Major Bushell who has broken out of the psychiatric ward armed with a flame thrower and chainsaw to wreak revenge on 'Mother Nature' who mercilessly took his squad in a natural disaster. With the police hot on his heels he has one cop, Sgt. Schaefer, prepared to pull out all the stops to help him achieve his aim. I was very impressed with the writing and how it conjures up suspense and drama in this very short story. 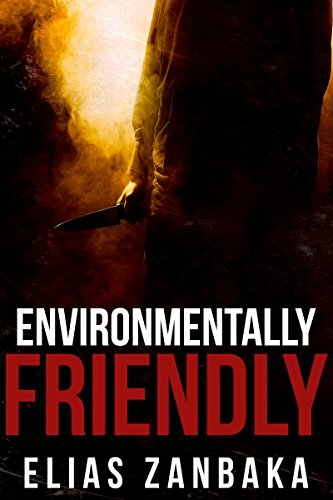 This author is unknown to me but I'd be most interested to read a full length novel if the standard set in Environmentally Friendly is maintained. My thanks to author Elias Zanbaka for providing me with a copy of this book. Out of seven billion people, one man has declared war on Mother Nature and plans to bring it to its knees. Out of all the criminals in Los Angeles, he's the number one target being hunted by the LAPD tonight. And out of the entire LAPD, one officer is hell-bent on helping him complete his mission.